“Proceeds of Crime” are defined as the proceeds of any offence that may be prosecuted as an indictable offence in Canada, regardless of whether the offence occurred in Canada. Although most criminal offences are “hybrid” or “Crown option” offences, meaning the Crown can chose to proceed summarily or by indictment, the offences are included within the Proceeds of Crime definition since they “may be prosecuted as an indictable offence”. “Laundering Proceeds of Crime” has a very broad scope. The property at issue does not even need to be actual proceeds of crime as long as you believe it to be. The act of “laundering” includes any sort of use or transfer of property with the intent to conceal it or transform it in any way. The sorts of cases that turn upon an individual’s belief that the property is the proceeds when it really is not generally involve an undercover officer. An obvious example would be an undercover officer advising a pawnbroker that he wants to fence some stolen property. If the pawnbroker deals with the property believing it to be stolen, he has committed the offence, even if the property is not stolen. In Laundering cases that involve an allegation that certain money or property is derived from crime, as a practical matter, this “false proceeds” scenario will not generally rise. In other words, in the Crown will generally have to prove the property actually was the source of illicit activity as part of establishing the accused’s knowledge or belief in the illicit nature of the property. The maximum penalty for Possession of the Proceeds of Crime of a value in excess of $5,000.00 is 10 years’ imprisonment. Where the value does not exceed $5,000.00, the maximum penalty is 2 years’ imprisonment. In the case of Laundering the Proceeds of Crime, the maximum penalty is 10 years’ imprisonment, regardless of the amount. That said, there are no minimum penalties for any of these offences and as a practical matter, the penalty you’re facing will be substantially less than the statutory maximums. Your personal circumstances, particularly a lack of prior record factor in considerably, as of course do the circumstances of the offence. In the case of a sentence of less than 2 years, the issue will usually be one of whether the sentence will consist of “real jail” or a conditional sentence consisting of “house arrest”. These sentences are available where the sentence to be imposed is less than 2 years, where the offender does not present a danger to the public and where the “the purposes and principles of sentencing can be met” by the imposition of a conditional sentence. 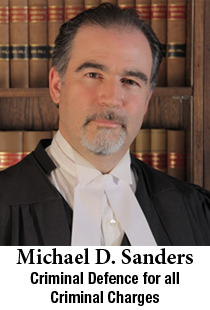 The sentencing judge has a considerable discretion in deciding whether or not to grant a conditional sentence. The facts of these cases vary widely and it is difficult to generalize as to common defences. Suffice to say that if you are simply charged with Possession of Proceeds of Crime the Crown must prove not only that the property was obtained by crime, but that you had possession of it (knowledge, consent and control) and, if possession is proven, that you either knew it was the proceeds of crime or suspected that it was proceeds of crime and chose not to inquire. Similar issues will arise in Laundering cases, with the proviso that you can be convicted for dealing with property you know or believe to be the proceeds of crime, even if it isn’t. In many cases, evidence as to a legitimate source of the property can be adduced as can evidence of your knowledge and belief with the aim of raising a reasonable doubt on any of these elements. In the event the evidence was obtained pursuant to a search warrant, there may also be issues as to the admissibility of the impugned property itself. The statement above is not legal advice. It is simply intended to give a very general understanding of this offence and some of the possible issues and defences that might be considered in defending it. For legal advice on the offences of Possession and Laundering Proceeds of Crime, click here.